Christ Follower or Church Goer? In other words, how we “see things” is paramount. Perspective is everything indeed! Why is that so, according to Jesus? Because if your perspective is skewed or compromised to begin with you can’t expect your conclusions that follow to be any less skewed or compromised. Uncorrected vision only leads to more pitfalls and error. Paradigm is another way of saying picture or pattern. For many Christians associated with the Restoration Movement the word pattern resonates. For some it has a sweet ring to it; for others it is a grating in the ears. Regardless, whether we use the word pattern or paradigm it is important, critically important, light and darkness important, that we focus correctly and see things as God sees them. Jesus said, “Do you not say, ‘There are yet four months and then the harvest?’ Look, I tell you, lift up your eyes and see that the fields are white for the harvest.” What an “eye opening” statement! Jesus contrasts two perspectives, two ways of seeing things, man’s and God’s. Man’s is skewed, compromised and darkened. God’s is clear, accurate and full of light. When we who claim to be Christians fail to see things as Jesus does we are filling our world with darkness rather than illuminating it with the truth. This must stop. It’s long overdue in American Christianity to see things differently. One perspective that is beginning to see some light of day is framed in the following question: Am I a Christ-follower or a Church-goer? There’s a big difference between the two. One is darkened to the truth of Scripture; the other blazes with the light of truth. They are entirely different paradigms. They embody and reproduce distinctly different patterns and outcomes. Which are you? Am I a Christ-follower or a Church-goer? Christ-followers are relationship oriented (towards God & others) – John 13:34-35; John 14:23; John 17:3. Church-goers are attendance oriented. Christ-followers are always learning something new – Philippians 3:12-15. Church-goers try to remember what they’ve already learned. Christ-followers read their bibles looking for Jesus with an eagerness to imitate and a readiness to obey – John 5:39-40; John 8:31-32; Acts 17:11. Church-goers might read their bibles. Following Christ is non-negotiable – Luke 14:31-34. Going to church is optional. Following Christ is daily – Luke 9:23. Going to church is weekly, monthly, annually or on an “as needed” basis. Christ-followers are inclusive – Matthew 28:19-20; Galatians 3:28. Church-goers can be exclusive (white church, black church, my church, your church). Christ followers are transformed by the Holy Spirit into the likeness of Jesus – II Corinthians 3:17-18. Church goers are informed about what their church believes. Christ followers embrace change because it is the path to the Kingdom – Matthew 18:3. Church-goers fear it because they’ve never done it that way before. Christ followers pray like they breathe, continually – I Thessalonians 5:16-18. Church goers pray at the appointed times: at services, during emergencies and sometimes before meals. Christ followers grow up to serve – Ephesians 4:11-16. Church goers show up for services. Note: All Scripture references from the Bible. All other references from I & II Opinions. Nothing to follow the last tear to fall? Perhaps at least a lesson learned? Just lifeless bodies stiff and cold. No breath, no laugh, no gentle sighs. And where we were a void has filled. Raised to live because You died. Rural missions brings people into your life that show you the face of God in some of the most unsuspecting, yet profound ways. Walter Owen is one of those people. I met Walter a few years ago when RAM started ministering in the community of Carnegie, OK (pop 1700). He will be 89 years old this year. He is barely five feet tall and I doubt that he weighs a hundred pounds. But he is a giant of a man. Don’t be fooled by what your eyes tell you. Spend a few hours with Walter and your heart will tell you something largely different! Walter is a living example of the paradoxical reality of the “unseen.” He has one of the kindest, gentlest spirits I have ever known infused with a strength and tenacity men twice his size could not match. His 89 years have included living through the Great Depression. (He told me of his childhood, growing up in a house with no insulation, the walls and windows fissured with cracks that let the cold winter winds whistle through while he and his family huddled near the single stove to keep warm.) He made his living through the back-breaking work of farming and ranching, adopted and raised three children, loved and remained faithful to one woman for 50+ years including caring for her through sickness and until her death. He has endured his own health issues from diabetes to heart problems; and rarely mentions them. His life has been a composition of sweet memories and hard disappointments. Even recently his home was burglarized, the thieves stealing several irreplaceable personal possessions. They robbed him of the visible and material, but they could not steal what they could not see. They could not steal the heart of this giant of a man. 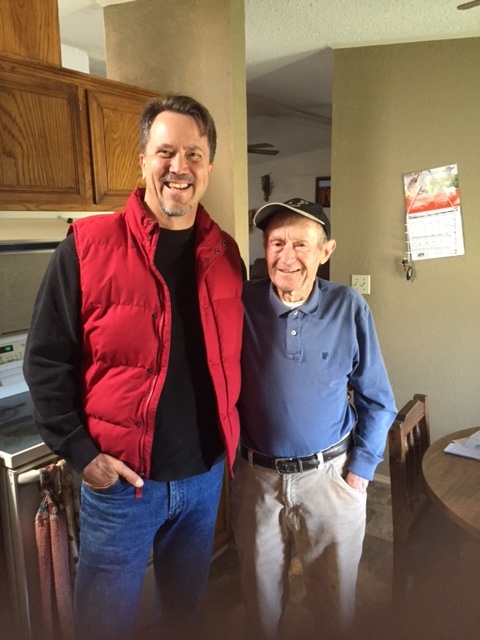 I asked him this week about his health and he told me he doesn’t have as much energy as he used to, but he can still see good enough to read. And read he has! He informed me he’s already read through the NT approximately 10 times this year! But Walter doesn’t just read his bible. Through the years he has shared his faith on many occasions with friends and neighbors. Many of them he has brought to the same Jesus he loves. The love I see in Walter is none other than the power of the Holy Spirit at work in Walter’s small frame. It is this presence of God that transforms him into a giant of a man. I told Walter this week that dynamite comes in small packages. He replied, “This one ain’t got no fuse.” I laughed and admired the humor and humility of this giant of a man. One other thing he told me, shortly before I left his house yesterday. He said he was looking forward to dying. It wasn’t said with despair. There was a longing in his eyes as he went on to describe what he meant, “No more pain. No more tears. No more sin.” It was the longing of a giant of a man. A man whose heart and soul have become too big for death to constrain. When I grow up, I want to be like Walter Owen. Of Oklahoma’s 77 counties, 55 are designated rural. Those counties are RAM’s mission field. Situated in that mission field is Washita County and a few women who decided to answer God’s call to abandon their comfort zone and follow Him beyond the bars and bolted doors of the county jail. 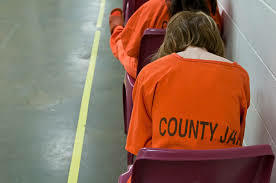 There are some unique characteristics to the county jail system that set it apart from a state or federal facility. One of the most significant as it pertains to rural missions is that the majority of its inmates are from the county it serves. Unless inmates are awaiting transfer to a state or federal facility, they are likely going to reside in that same county when they are released. If they don’t, they often have relatives who do and so there is still a possible connection. The significance shouldn’t be hard to see. What if, at the county level, women instead of men ministered to the women inmates with the Word of God, prayer, and friendship? What if that ministry and friendship continued once the female inmates were released back into the local community where many of them came from to begin with? What would happen? Would it make a much needed difference? Would it begin to address the big problem of female incarceration in Oklahoma? Better question: what has happened? Annette Herren, a member of the 4th & College Church of Christ in Cordell, OK could not ignore the gnawing conviction that God was calling her to reach out to the female inmates in the Washita County jail. 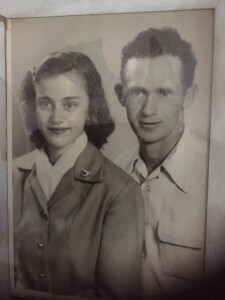 She had no experience in “prison ministry” and felt personally inadequate at the prospect. She questioned if she should attempt something that would be better left to someone with jail ministry experience; she had none. But inexperience did not stop her from answering God’s call on her heart. She was soon behind bars (so to speak) and became Christ’s ambassador of hope for women who had lost theirs. She was soon followed by other women from her church and together they have become a force of good overcoming evil. Christ is using them to break the cycle of destruction predominant among women in Oklahoma’s penal system. Since Annette took that first step of faith a few years ago, the Holy Spirit has used her and those that work with her to lead a number of women to Christ. This has involved many hours inside and outside the county jail listening to numerous women’s stories of heartbreak and personal moral failure. It has cost her time, energy and resources. It has been hard lessons learned about when to help and when too much help is harmful; when to let go and when to hold on. But always, always, it has been an offer of hope found in a life surrendered to Christ, where one who is willing to take one step at a time, one day at a time, discovers real freedom. It’s stories like Annette’s and the women she and her women’s ministry team are reaching that embody an appropriate Kingdom response to one of our state’s and nation’s biggest problems. It’s a story of faith in the face of doubt, hope in the place of despair, redemption over destruction. It’s a story we would do well to repeat, again and again. We can and we must. I am a solutions oriented kind of guy. If I sit through a meeting, I want to walk out with some action steps. I admit, I like to talk, and to be painfully transparent, I like even more to be heard. But honestly, I could care less about all the talking if nothing gets done afterwards. What a waste of time! We live in a world that is pockmarked and shredded with problems; untold suffering. None of us are immune to it and all of us are responsible for it (except those of us too young to yet know better). Bringing it closer to home, one of the problems right under our noses here in Oklahoma is the number of women we incarcerate, primarily for drug/alcohol related charges. There are reasons why this is the case and that discussion has merit. That is not the subject of this blog today. I want to lay out some observations about this problem that I believe emphasize the seriousness of it and the unprecedented opportunity for good that will result when disciples of Jesus step up to the plate and face this problem head on with the redemptive power of the gospel. 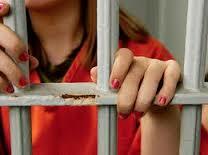 Oklahoma incarcerates more women than any other state in the union. We have had this dark honor for several years. According to Oklahoma Watch, a non-profit media organization, in 2014 Oklahoma locked up 143 women per 100,000 which is over twice the national average! They go on to report that “calculations indicate the rate likely increased in 2015, with total women in corrections facilities reaching 3,002.” But let’s not stop here. The majority are incarcerated for drug/alcohol related charges. According to a report published in 2010 by the Oklahoma Dept. of Corrections, Incarceration of Women in Oklahoma, nearly 70% of the charges that put women behind bars were drug or alcohol related. This is consistent with assessments of this same population showing that 64% had a moderate to high need for substance abuse treatment. Thousands of children in Oklahoma are being raised by someone besides their mother because mom is incarcerated. According to a study published in cooperation with the Oklahoma Commission on Children and Youth, it was estimated that of the 2357 women who were incarcerated in Oklahoma in 2010, they were also the mothers of over 4600 children under the age of 18. 1) Oklahoma incarcerates more women than any other state in the union. 2) The majority are incarcerated for drug/alcohol related charges. 3) Many of them still have children under the age of 18. Our Eyes Are On You! It’s not the first time I have been in this place and I am certain it will not be the last. When you decide to follow Jesus, you decide to put yourself in the position of absolute dependence on His power and grace to accomplish His will. Reason, wit, talents or luck will never be enough to get the job done. Never. Prayer, bold and persistent steps of faith, all the while calling others to join you in what God is doing will. I do not believe God will reveal a need and open a door of opportunity that He will not provide the people and resources to get the job done. Since RAM’s inception 3 years ago He has always provided. I don’t have adequate words to express my gratitude for His provision because every year since our beginning He has revealed more needs and opened more doors of opportunity to bring His truth and grace to rural America. But it is an uphill battle all the way. So many students have so many options for their summers; so many possibilities outside our borders. And yet, there is so much to be done right underneath our noses. Just beyond our front door. 7 rural communities in 4 states have invited us to bring student teams to share the truth and grace of Jesus in their towns for 30 days. This will take 25-35 students and 6 team leaders. In addition, we have openings for 6 ministry interns and 1 vocational intern to minister through the remainder of the summer in these towns. To the God who parted the Red Sea, shut the mouths of lions, raised the dead and saved the likes of me, this is small stuff. Our eyes are on the Lord, but we are reaching out to you. God’s got some work to do. Won’t you join us as we join God in another amazing display of His power and grace this summer? Nathaniel worked with Billy and would bring him to the house to play and to spend the night whenever his mother would not be home. He blossomed under the love that Nathaniel and the RAM team lavished on him and soon his defensive stance faded. He attended every service and with his outgoing personality soon won the hearts of many in the congregation. As the time approached for Nathaniel to go back to college Billy wanted to know if he could move into Nathaniel’s room. I told him he was welcome anytime, but we had to make sure his mother knew where he was all of the time. When it was time for school to start several church members collected money to buy him some basic clothing and shoes and others donated clothes their children had outgrown. He came to my house to get them and I have never seen such excitement of a little boy over a pair of Nike shoes. Two days before school was to start Lee Skelton our minister was talking to the school principal about Billy and he found out he was not enrolled in school for the year. Lee and the principal went together to Billy’s house and visited with his mom. She then brought Billy and his older brother to the school to be enrolled. The boys had attended 4 different schools the previous year and Billy had not passed the 5th grade. He had already been held back in the past so it was decided to put him in 6th grade. At this time I felt a calling to help him with his school work. I really tried to fight it, but God just kept putting him and this need in front of me. On the first day of school I went to the principal and asked what I would need to do to be able to pick him up every day and help him with his homework. He said he would get his mother to give me permission and by that afternoon I was allowed to pick him up. Billy wanted to do well and would do anything I asked him to do regarding his school work, but we struggled to find ways to help him. The world Billy lives in is so different from mine. I realize that I have lived a sheltered life. His life experiences have not helped him develop a very wide vocabulary. We’ve gotten advice from many teachers and have made great strides. He has passed all but one subject this past semester! We have had a few rocky times, but have been able to love Billy through them. I have developed a relationship with his mother and she has given me permission to take him to the doctor and the dentist. He spends at least 75% of his free time at our house. He goes with us on family trips, but we recently went on a vacation and our church family stepped in to take care of him while we were gone. As I write this he is asleep on the sofa because my whole family is in for a late Christmas. He has been such a blessing to our lives and I pray we have been to him. The time that stands out to me as most precious is one day when he had on his Seymour church of Christ T-Shirt that the church recently got for our youth rally. He said, “A few months ago I didn’t know anyone here and now look at me,” as he pointed to his shirt. He knows he belongs! *The details of this account are true, however, to protect his privacy, Billy’s name is fictitious. The Holy Spirit continues to open more and more doors of opportunity for us to introduce Millennials to the rural mission field! 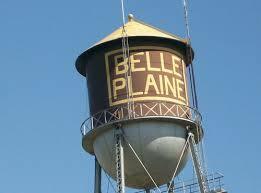 Next summer we are targeting rural communities in 4 different states. For the past two years we have had our eyes on the northeast part of the US hoping to partner with Ohio Valley University in targeting rural communities in the Ohio Valley Region. It appears that God is opening that door for us in 2016 as the pieces are coming together to recruit, equip and send a team to Rittman, OH. Take a few minutes to pray for each of the following communities where we are planning to send student teams in the summer of 2016. Please pray for the Lord to provide the 20-25 students we will need to man these teams and pray for the leaders who will lead them. Praise God for all that He has done so far and for what He is about to do next! Us humans don’t fare well when in captivity, whether it is of our bodies, minds or souls. Today in rural America, Satan is taking alarming numbers of people captive through meth addiction. According to a study by the US Substance Abuse & Mental Health Services Administration, meth use is twice as prevalent among 18-25 year olds as it is among their urban counter-parts. It is a scourge on our land and a ruthless taskmaster dragging our youth and young adults to destruction. But what an opportunity for the church to kick in the gates of hell where it would really hurt! Coming up against this stronghold of the devil is no small matter. It will cost us. We will have to embrace the addict with an unconditional, and yet, firm love. It will take opening our hearts and arms, while not enabling continued abuse. It will force us to re-evaluate our priorities and convictions as Christians. It will require our time, our money, our comfort and especially, our hearts which we so carefully protect. I recently sat in the living room of a dear friend and brother in Christ. Since I have known him he has taught me some deep lessons about what it means to be a disciple of Jesus, especially as it relates to my own moral brokenness and undeniable need for His grace and power. This brother has been an addict for the majority of his life. In the latter part of his life he became a Christian. His transformation from addict to Christ-follower has been gradual, but powerful and inspiring. He has had stretches of great progress and periods of great struggle. I was in his living room this time because he had been struggling. Old demons had sung their haunting strains like sirens near the reefs, luring him towards disaster. When he found himself broken on the rocks they raised their ugly, guttural voices in self-condemnation and loathing that easily morphed into anger and judgment that he slung at those who truly love him. Until that day. And the days that have followed. Since then he has opened his door and his heart to more of his brothers and sisters in Christ who remain in his life and invite him into theirs. They are loving him with heaven’s love, and there are few on this planet that can resist it if they are open to its influence; including him. Meth has taken many captives, but Jesus will set them free. Church, bring the Kingdom of God to rural America. 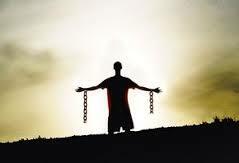 Set the captives free! Our quest for unity as believers does not begin in the halls of debate where human pride and will prevails and divides. No, it begins in an upper room round a table of fellowship and a basin of dirty water; it begins in imitation of the humility and brokenness of God as revealed in the prayers of Jesus, son of man son of God, pleading for the unity of all who would believe in Him as Lord and Christ. If our Lord began in the humility of prayer, why would we do any less? If the proof of Jesus’ Messiahship to the world is the unity of all His believers, where is the effort and energy being spent to see it happen? It appears that our greatest opportunity for evangelism is through our unity in Christ as His followers. If this is true, where are the Christian leaders who have made this their passionate pursuit? Shouldn’t we be joining hands and bowing knees before the cross of our Redeemer and King and at least beginning with this prayer be unified? Why aren’t our public and private prayers continually echoing our Master’s plea for unity? Before we have another gospel meeting to win the world why don’t we insist on prayer meetings among ourselves begging God to forgive us of our pride and indifference and pleading with Him to make us one in Christ? Do we really believe in the power of prayer? Do we really want the prayer of our Lord and Savior to be answered? Do I love my God and my fellow man that much? Or should I say, that little? The absence of our prayers for His divine intervention betrays our feeble desire for His will to be done on earth as it is in Heaven regarding unity. Perhaps by uniting first in the humility of prayer, God will forgive our arrogance and divisiveness and open our eyes to the error of our ways, whether in doctrine, deed or attitude. Who knows what degree of unity is awaiting us if we will prayerfully humble ourselves in expectation of the Spirit’s power to enlighten our eyes and soften our hearts? We have failed our Father far too long. Our failure has prolonged His anguish and delayed, obstructed, or I fear, even prevented the redemption of our fellow man. There is not another minute to waste. To some, the walls between the “children of God” appear insurmountable. But if the prayer of Jesus is to be answered, it must begin in the humility of our prayers. Who among us that claims to be His disciple will begin to beat the doors of heaven until by His power we are brought to complete unity?